Robert LeRoy Van Wagenen passed away April 10, 2017 in Bountiful UT. 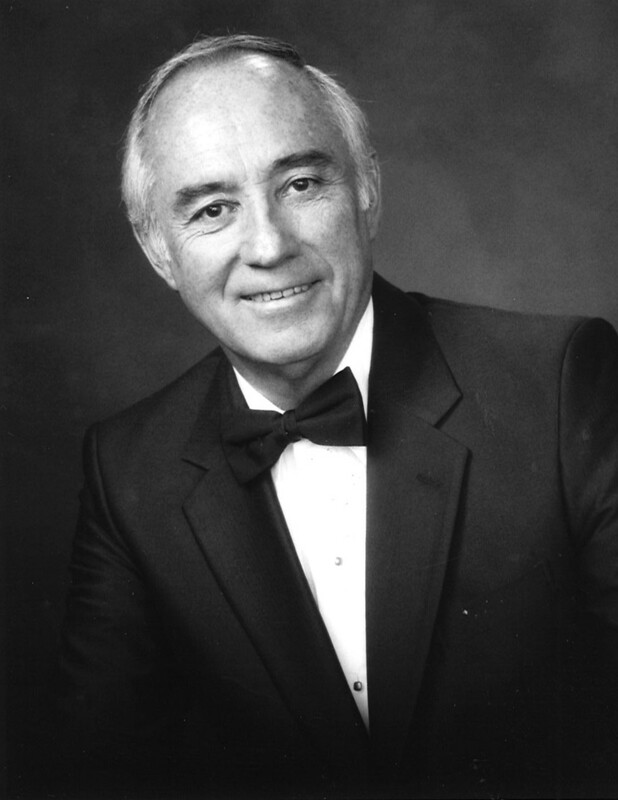 Robert (Bob) was born March 26, 1928, in Salt Lake City, Utah to Arthur L. and Wanda Griggs Van Wagenen. A child of the Depression, he and his family moved often; wherever he lived he was known as “the boy with the beautiful soprano voice.” Bob graduated from Ogden High School and Weber Junior College. Throughout the years he continued to study and develop his beautiful baritone voice. Bob served an honorable mission to France from 1949-1952. Elder Van Wagenen loved the country, its people and the French language. While assigned in the city of Paris, he was given permission to study voice with a renowned vocal teacher and was often invited to travel with the mission president sharing his talent at meetings and special concerts. Following his mission, Bob enrolled at the University of Utah. Upon graduation, he received a commission in the United States Air Force. While at the “U” he married Shirley Kemp in the Salt Lake Temple, September 20, 1954. For the next twenty years Bob, Shirley, and their children became a military family; moving every three years throughout the United States and overseas. Bob served in the Air Force as a radar observer, a navigator, an Agent in charge of the Office of Special Investigation at three different bases, and finally as Director of Defense Investigative Service at Fort Douglas. After retiring as a Major Bob received certification as a diamond appraiser from the Gemological Institute of America, and also became an adjunct professor of French for the Brigham Young University extension in Salt Lake City. A faithful member of the Church of Jesus Christ of Latter-day Saints, he served in several branch, district, ward, stake positions, as a Temple Square missionary for 15 years, a member and invited soloist with the Tabernacle Choir, an ordinance worker in the Salt Lake Temple for 20 years as well as the Bountiful Temple. He and Shirley served as members of the Church Public Affairs Committee. Bob is survived by his wife, Shirley; his children Rodney(Emily), Patricia Noel, Diana “Missy” (Rod) Hunt, Jeffrey (Heather), 15 grandchildren, 12 great-grandchildren, several nieces and nephews; his siblings Charlene Gale and Lynn (Nina). Preceded in death by his parents, sister Jean Boren, and his son John Robert. Family and friends may pay respects at the City View Mortuary, 1001 Eleventh Avenue, Salt Lake City on Thursday, April 13 from 6:30-8:00 pm. Funeral services will be held the following morning Friday, April 14, 11 am at the Foxhill Ward building, 200 South Eagle Ridge Drive, North Salt Lake with a viewing to precede services from 9:30-10:30 am. Interment and military honors at the City View Mortuary, following the funeral service. In lieu of flowers the family suggests a contribution to the Church of Jesus Christ of Latter-day Saints Missionary Fund. I absolutely love your blog and find most of your post’s to be exactly what I’m looking for. can you offer guest writers to write content in your case? I wouldn’t mind producing a post or elaborating on a few of the subjects you write regarding here. Again, awesome web log! We would definitely consider guest writers. If you have something to submit, please email to Chelsea Tolman at cityvieweventcenter@gmail.com.com.